Add half of the tomatoes and cover for 2 to 3 minutes then crash the tomatoes and add water mixed with the stock cubes. Add salt and cover for 5 minutes and set aside. Place the rest of the onions in a sufuria over medium heat (by slightly closing the SuperSaver air regulator) and add oil and stir. Add the rest of the tomatoes and cover then crash them when they have softened. Add the spinach and a little water and salt. Let the spinach cook for 3 minutes. 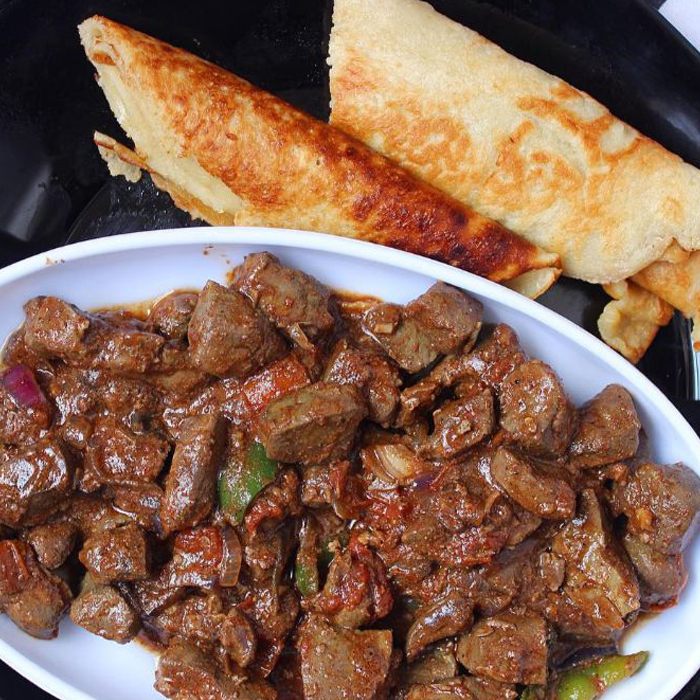 Serve the vegetables and liver with ugali to your family and see them enjoy and want more!